Enjoy your favorite essential oil aromas with the quick spritz of any one of these four half ounce therapeutic hydrosols. 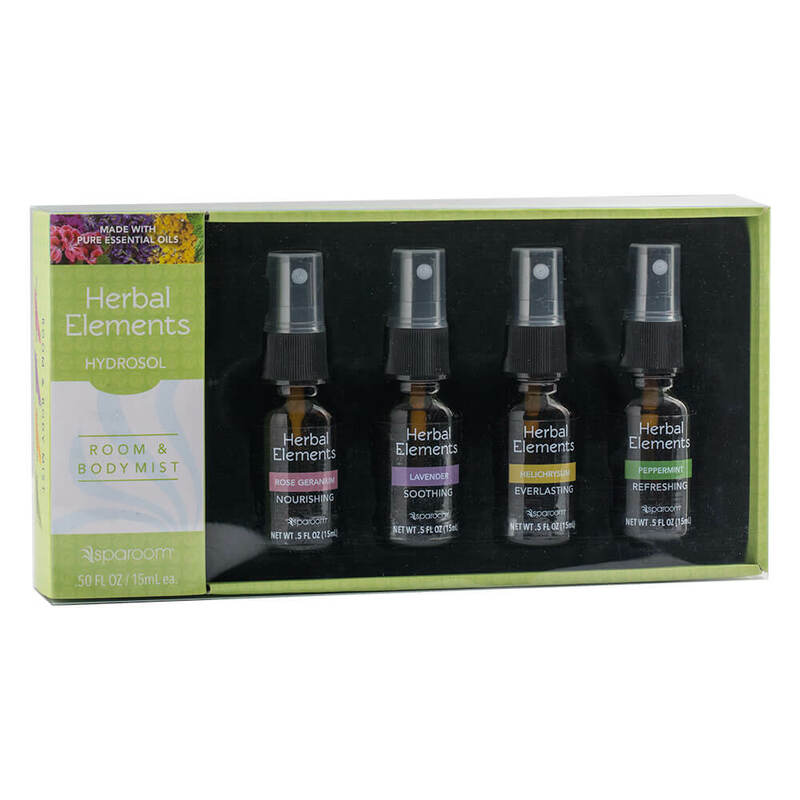 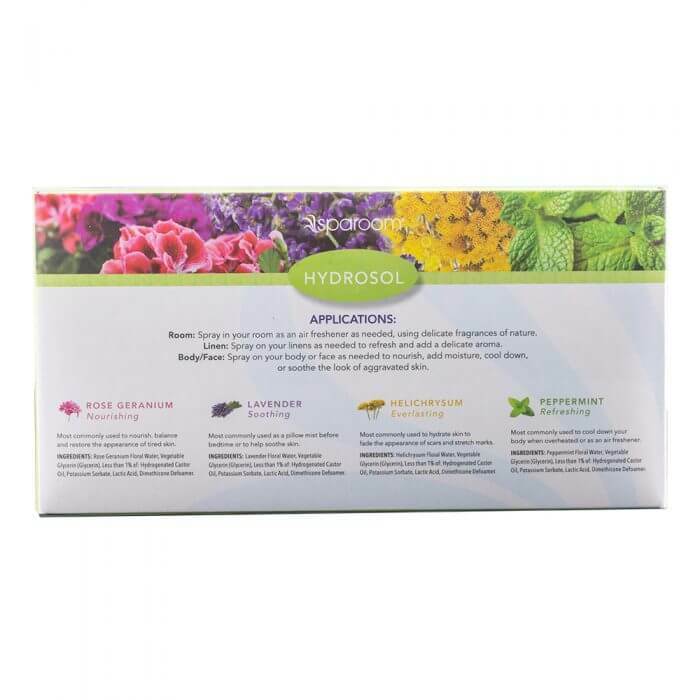 Made with 100% pure essential oils, the Herbal Elements Hydrosol Room & Body Mist Sampler Set allows you the versatility to appreciate all that essential oils have to offer anytime, anywhere. A quick spray throughout any room, on your linens or over your face and body will nourish, soothe and refresh you and your home.